Imagine this: your customers keep coming back to you. They frequently buy the latest products from your store. AND they invite their friends, too, because they love to spread the word about you. Now, let’s turn this lovely little fantasy into reality. A loyalty program can make it happen IF it triggers the right reactions in customers. Reactions that show how happy your customers are with you. That’s no relationship! So how can stores move away from this emptiness? Simply by surprising customers, rewarding them even when they’re not making a purchase. Like when they share a product page from your store, when they watch a how-to video, or when they post a photo of your brand new product to Instagram. 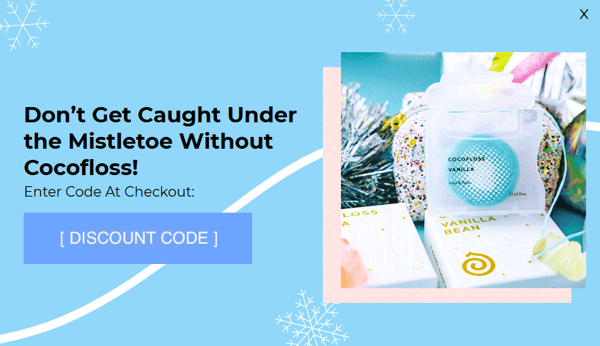 With this move, you’re hitting two birds with one stone: 1) you let customers to reach little achievements before or alongside a purchase, and 2) you provide an incentive to increase customer interactions with your brand. And more interactions lead to more engagement. And that leads to your brand being top-of-mind when it comes time for your customers to shop. See how Lancome rewards non-purchase-related activities? They’ve really got a handle on engagement! On-site notifications: automatically notify your customers with a floating panel, once they’ve completed a rewardable activity. It’s the perfect combination of instant gratification & a sweet surprise. 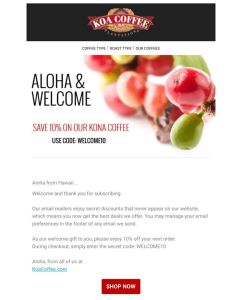 Automated emails: Your customer receives an email when their friend shares a product page, or when there’s a new reward they can save up for in your loyalty program. 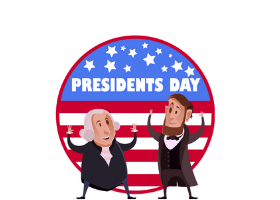 If customers are enrolled in your loyalty program, excite them with news, special events and motivate them with updates about how their friends are participating. See? The more places you can communicate the benefits of your loyalty program, the greater the chances that customers will get hooked! 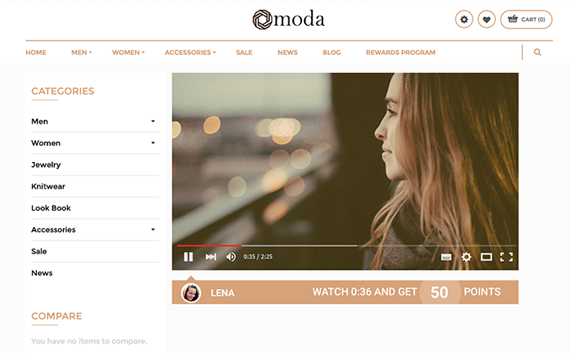 This video banner serves two purposes: it notifies loyalty members how many points they can earn by watching the video, AND for non-loyalty members, it shows how many points they would earn if they were enrolled. Of course, personalization should not be forgotten! 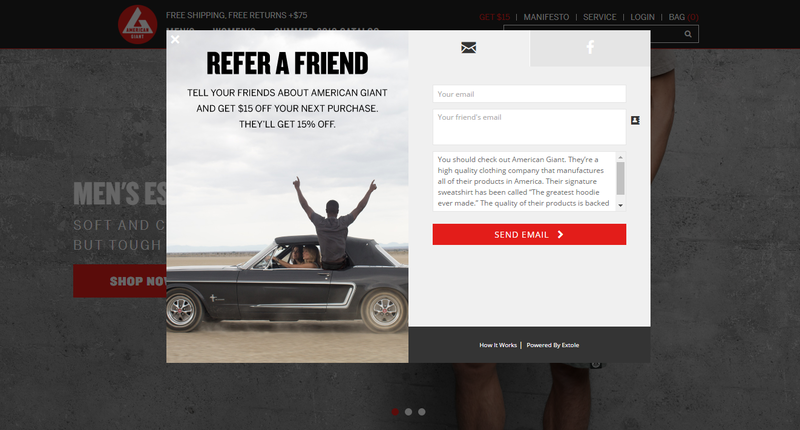 I don’t just mean in your website, but in your loyalty program, too. Try to make sure you’re sending your customers the most relevant offers and updates possible. Customer surveys: A loyalty program gives you a great opportunity to encourage customers to fill out surveys about their personal preferences, in return for a small sum of points. Customer segments: After collecting the data you need, you can create groups of your customers based on certain filters, like gender, last time they were active in your program, or the number of unspent points they have awaiting them. Email marketing: Once you have your segments ready, you can communicate with them in the most relevant emails. You can send personalized emails to each member, “re-activating” them, getting them back on your site… or just keep your active members updated, sending them news based on their preferences, satisfying their curiosity! And that’s how it’s done! A loyalty program is a great tool to help you dive deeper into the world of personalization. 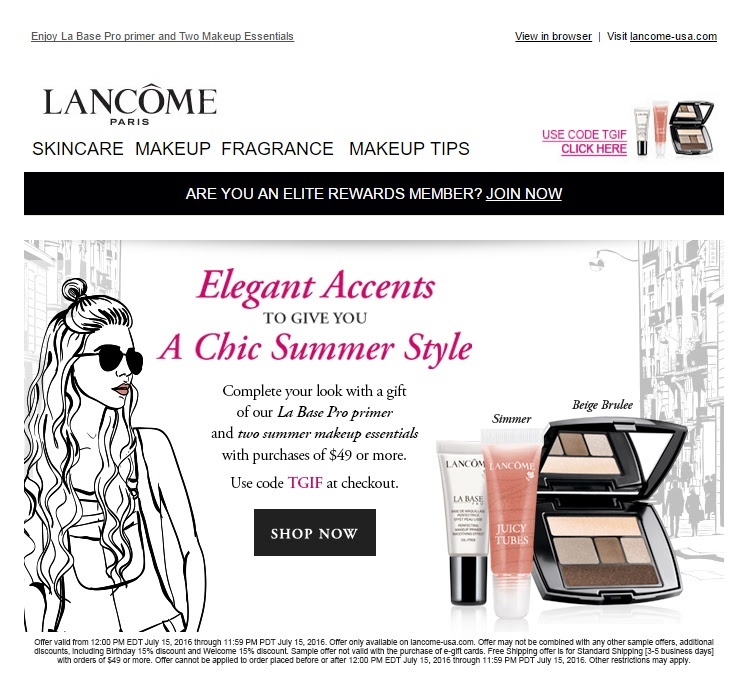 Lancome promotes their loyalty program in every newsletter their send out. I promise I’m not quoting lines from Robbie Williams’ famous song by mistake…because the usual problem with loyalty programs is that, after some time, they can become just plain boring. For example, if you don’t set milestones for loyalty members to reach, there’s no real way to keep up their interest in the long run. That’s why I usually recommend having at least three different customer levels in your loyalty program. The higher level of loyalty that members reach, the better rewards they can get their hands on. And it doesn’t just stop at reward options, it can also mean more fun names and ways to earn points. Come up with some fun names for each level, that are related to your business and also show your personality! Just take the beauty experts at Sephora for example. They have three customers levels, namely: Beauty Insider, VIB, and VIB ROUGE. 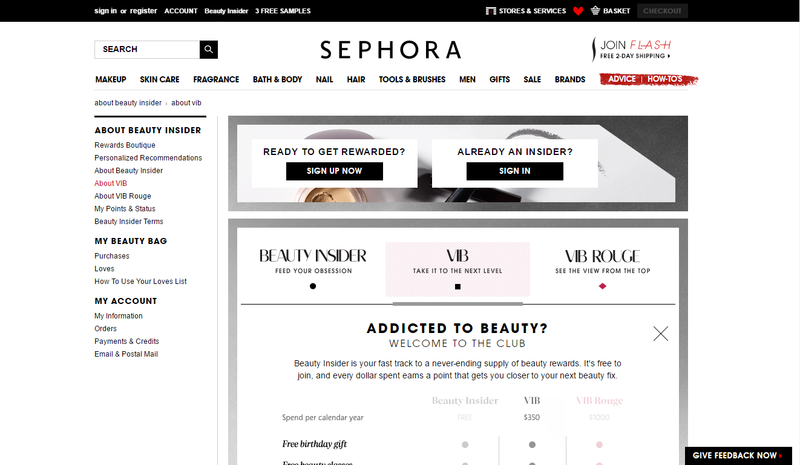 Sephora has three tiers set up for its loyalty members. This allows shoppers to reach achievements other than just collecting points, keeping their interest in the long term. Points for shares: Let customers earn points by simply sharing one of your pages on Twitter or Facebook, or by sending the link to their friends through their favorite channels, i.e. in an email. Give them points for the share, telling them you appreciate when they spread the word! Points for referrals: A fantastic way to encourage referrals is to reward customers who invite their acquaintances. But, in addition to giving loyalty points for those who send out invitations, you can also increase the chances that these new referrals will do business with you by giving them a sweet, little discount on their first purchase. Contests: Create some buzz by running a contest for your loyalty program members. By offering really exclusive rewards, you can encourage members to spend their points! Or give them a bonus entry if they share your content with others. Once they’ve shared it, you’ve got a great chance of getting more people to join your loyalty program, too. The idea here is to come up with powerful incentives that increase word-of-mouth for your company and encourage customers to spread the word about you and invite more new customers to your store. American Giant uses a dual-reward mechanism. Which means that not only their current customers but also newly-referred shoppers benefit. Current customers earn $15, while referred friends receive 15% off their first purchase. What does it all boil down to? Happy customers. The success of a loyalty program depends on how it can please your customers in the long run. Since the goal of every loyalty program is to retain these customers, it should provide a variety of ways to engage them – through the many different channels they’re active on. For example, if young Millennials are your customers, then don’t leave Snapchat out of your loyalty marketing strategy. Oh, and no matter what channels you’re on, try to continually surprise your customers with relevant rewards. Delighting customers and making them happy serves to strengthen the emotional bond between you two. Jessica Mizerak is Customer Loyalty Strategist at Antavo, a loyalty marketing software for e-commerce companies. 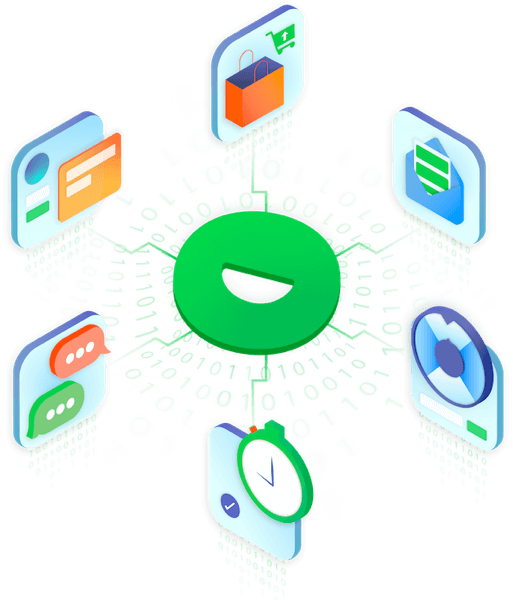 Antavo can increase returning customers by 200% and has helped over 30,000 marketers increase customer engagement since 2011. In her spare time, Jess enjoys painting teddy bears and reading about creative ad campaigns.